During the tragic floods that covered the Midlands, a story of two ducks gives hope to a Columbia community. In the midst of tragedy, it is encouraging and refreshing to find a bright spot. 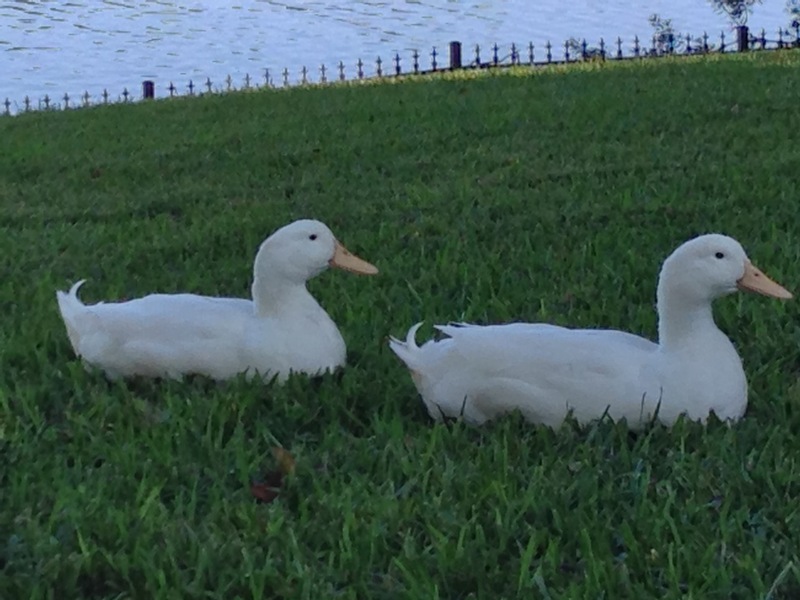 The bright spot for many residents in the Spring Lake Circle community happens to be two ducks that have become quite the superstars in the neighborhood. After watching a terrifying encounter between the ducks and an alligator just a day before the flood, Amanda and Rob Malanuk assumed the worst. 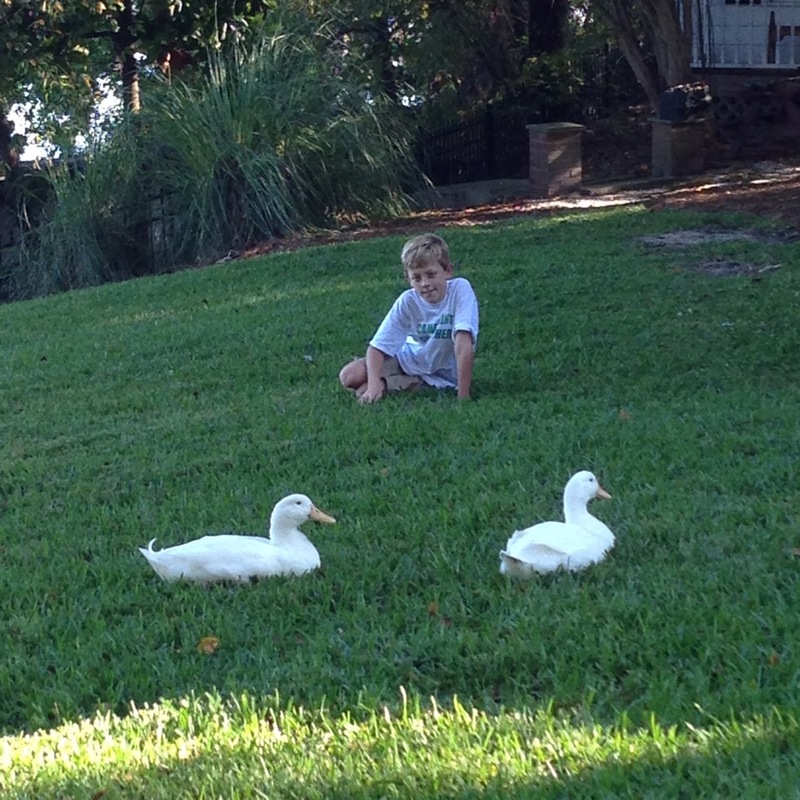 On Saturday, Oct. 3, Amanda helplessly watched an alligator go after her beloved ducks. 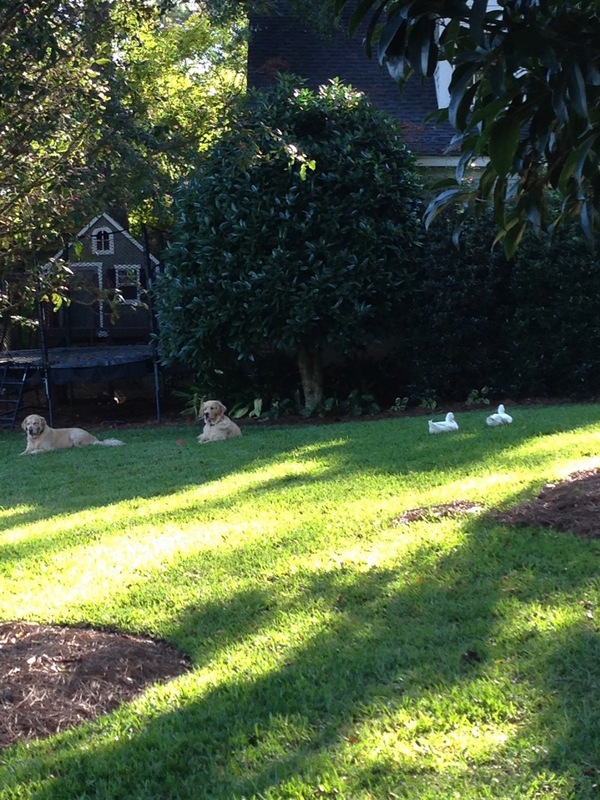 She kept a careful watch on the water, hoping she would see the ducks resurface … but saw nothing. During the chaos of rainfall and flooding Amanda and Rob continued to have an overhanging sadness for the loss of the ducks. An email to Spring Lake Circle residents on Sunday broke the disheartening news that the ducks had been eaten by the alligator. Days earlier, McIver Leppard called Amanda to let her know that he spotted the ducks, and a few hours later Genie Mann called to say the ducks had made an appearance wading in the water behind a reporter on WISTV in a flooded area off Forest Drive. Amanda and Rob rushed to the location and found one of the ducks in front of Ed Robinson Laundry and Cleaner. 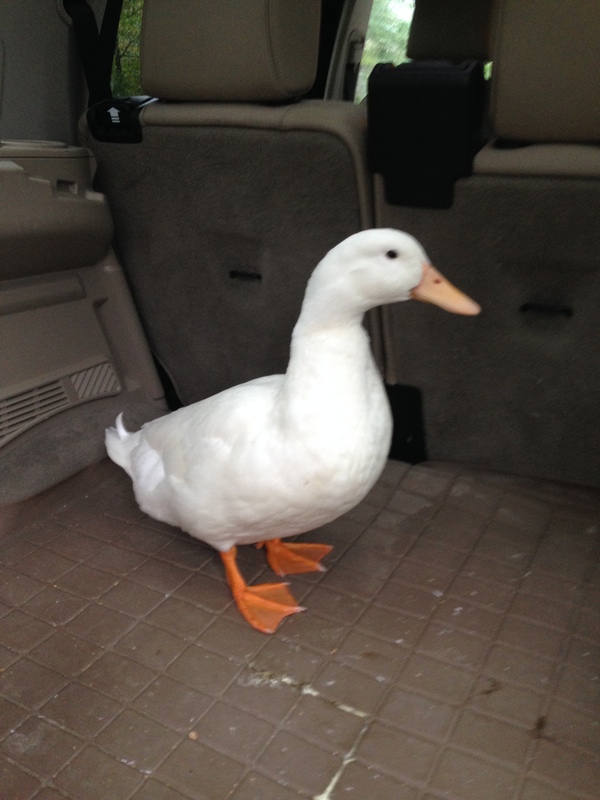 Amanda and her children later rescued the second duck after a Facebook post by Jane Ruschky showed the duck hanging out beside a car at the Forest Lake Apartments. The rescues certainly brought a sense of relief to Amanda, her family and the Spring Lake Circle community. They were grateful for the kindness of neighbors in Spring Lake Circle.